We are experts when it comes to providing reliable and affordable solutions to roof repair situations. We can efficiently assess and identify the source and cause of the issue, providing our professional advice on the best suited solution. At Abbotts Roofing, we understand that some roof repairs need urgent attention and can cause additional damage if left unattended. Therefore we offer a 24 hour emergency service to provide you with a helping hand whenever you need it most. We believe in providing our customers with an honest and value for money service and do not charge any call out fee. 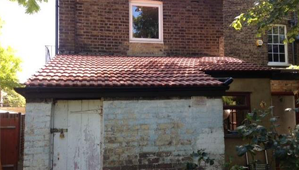 With the help of our expert roofers, your roof will be fixed and restored safely and quickly. If your roof needs repairing, don’t hesitate and call the professionals today. We can tailor our services to meet the specific requirements and needs of each customer. Regardless of the size and nature of your roof repair, we can work with you to ensure our service meets your every need and expectations. If you would like to discuss your roof repair needs, or would like one of our experts to provide you with a free quote, then feel free to contact us today.